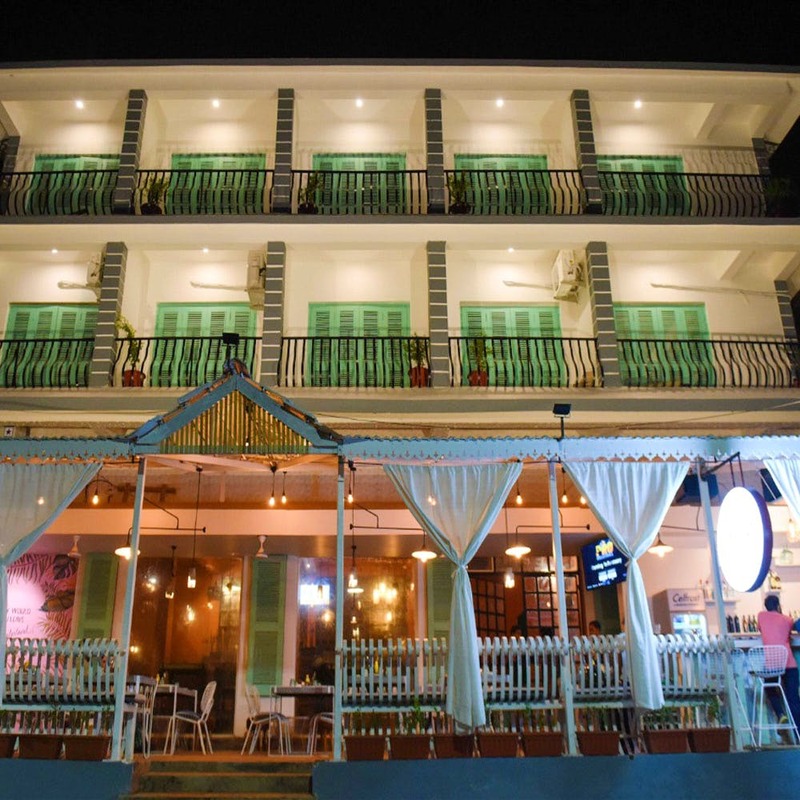 Goa Has Another Posh Hostel! It's Got A Poolside Bar & Sea-View Dorms From INR 599! Our favourite hostel folks from Arpora just launched Woke Morjim and it looks like the perfect gift for Christmas. With an in-house cafe, a lounge, a garden, a pool and four sea-facing dorms, they share the space with Base, a new lounge on Morjim beach. While Woke’s Arpora cousin was cosy, with its sleepy cats and dreamy gardens, this one’s bigger and more evolved. To begin with, they’re going to have 120 beds out of which about 60 are ready for now. Their private rooms all come with a balcony and a hill view. And if you crane your neck, you can see the sea in a distance, we’re told. And, in keeping with the poshtel (aka posh hostel) philosophy, they’re all priced pretty competitively. Think INR 595 for dorms and INR 1,995 for the rooms. If you want more incentive to be here, know that the shared space with Base means your meals and evening parties are well taken care of. And truth be told, we’ve been stalking Base and its Instagram stories of parties look LIT. The hostel folks have also struck some pretty sweet deals with the Base guys. So, you can get a wholesome brekkie if you’re a Woke guest at INR 95 at Base. Similarly, there’s a dedicated happy hour (1+1) every day from 5–6pm on beer, cocktails and select spirits. And if you’re one for variety, the hostel’s poolside bar is quite amaze in itself. Looking to do more than just being a beach bum? Fret not. The hostel guys are working on getting a daily calendar where you’ll have stuff to do and places to explore no matter what day of the week you land up (they’re already in talks with a local feni distillery, yay!). This, of course, is over and above the beach activities with fellow Woke guests and curated ethical dolphin spotting tours with Terra Conscious. Happy now? They’re going to start doing up that massive terrace garden January onwards. So, if you want to see a peaceful time in Goa during the monsoons, you might be able to enjoy the garden with perhaps a plunge pool.